Engine mounts are small components that are responsible in securing the engine to the chassis, thus stabilizing and properly aligning the vehicles engine. They are made from metal and rubber and come in different sizes, metal serves to overcome force and torque developed by the engine while rubber absorbs and dampens vibrations. Though this mounts serve a great purpose, a small or minor problem with the mounts can cause noticeable car problems. Noise from the engine bay is one common problem when an engine is not well mounted. The noise is due to banging, clunking, knocking and other impact sounds resulting from engine weight shifting excessively on one side or point of contact. Bad mounts will lead to an insecure engine that will bounce about causing excessive vibration. At times it might be minor, not to easy detect but there may be a sound coming from the engine hinting of vibration, to be sure of it place your hand on the passengers sit and you will feel the vibration. Poor engine mounting may result into your engine moving backward, forward or from side to side in the engine bay. This will mainly be when accelerating or on using brakes and it can introduce additional strains that are likely to damage other components. Also, if the mounts are bad which means the engine is not well aligned, will lead to engine sagging and drooping to one side. This creates some disturbing noises and may cause engine block. 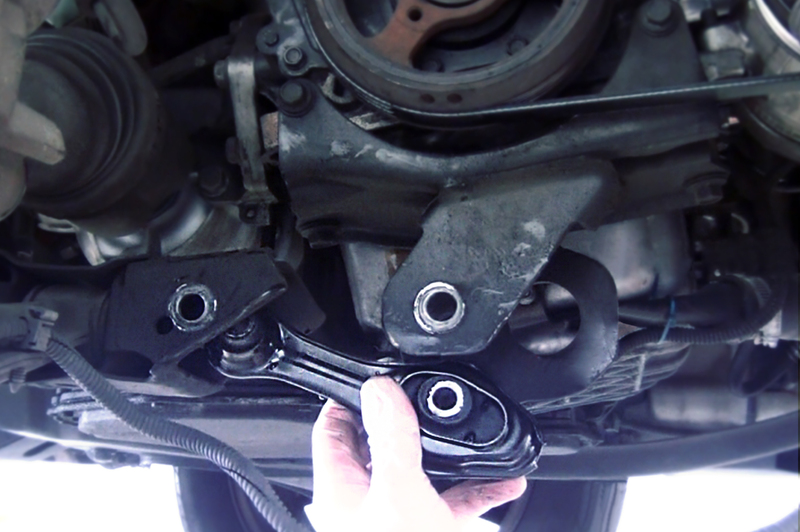 Apart from indirectly breaking parts of the engine, bad mounts can easily cause damage to belts and hoses. This will mainly be during high speeds where engine fan belts and radiator hoses might break. The extreme case is engine damage. Due to misalignment and extreme vibrations as a result of bad mounting, the mounts may break off completely from the engine. If you are driving at high speeds, the engine will shift and bounce about so violently causing some parts to fly off. Tags: AfterMarketParts, Amazon, autoenginemounts, Automobile, automotive, Autoparts, AutoPartStore, Beware, BrokenBelt, CarCare, CarProtection, Cars, CommonProblems, eBay, engine, EngineBay, EngineDamage, EngineHoses, EngineMisalignment, EngineMount, EngineMovement, EngineNoise, EngineVibration, Jet, Maintenance, Motor, Newegg, Quality, Safety, VehicleMaintenance, Walmart.